I don't like most of the daily modifiers. The only one I find interesting enough to play around with is Cursed Run, and that's only when the other 2 modifiers don't severely interfere with your deck composition. The special seeds are (for the most part) more to my liking. The only ones I don't like are random dailies, time dilation, and one hit wonder. Edit: One hit wonder is too RNG heavy to be any fun in most runs. Edit: Going to use this instead of making a triple post. I like taking the Busted Crown and the Fusion Hammer. I absolutely hate taking the Coffee Dripper. And the Empty Cage is in that weird spot in the middle where I feel like it's bad value but I'll take it over Calling Bell and Tiny House. The buff to Runic Pyramid is nice and very much needed but I can't help but feel that this again most of the time just going to be something I take over two other relics that are worse rather than something I'll be actively looking for. Last edited by mjack33 on Mon Jun 18, 2018 4:58 am, edited 3 times in total. 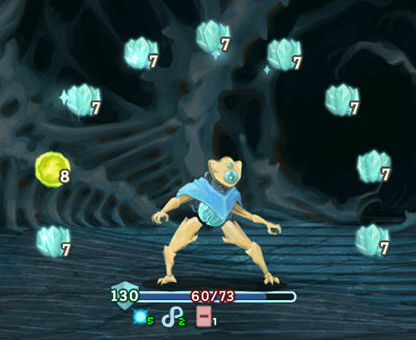 I think that Time Eater is the most hated one because it's the most effective at hating out its chosen strategy. I disagree with that statement. The Time Eater is just the most in your face about it. AND I think even in that case people don't fully understand what the Time Eater is hating out. The Time Eater hates on playing a lot of "low impact" cards in general the way the Awakened One hates on "low impact" powers. I have decks all the time where I can play 12+ cards per turn and still easily beat the Time Eater. It doesn't hate those out at all. What it *does* do is give cards like Flash of Steel and relics like Unceasing Top an actual downside. The Awakened One is mostly an endurance battle that also hates on "low impact" powers like Well-Laid Plans. It's the only one of the 3 bosses without any infinite scaling on the boss itself, but it has enough health (combined with voids and health regeneration) that most decks take several turns to kill it while also having to put up moderate levels of defense each turn. Donu and Deca is a flat out damage race that is heavily resistant to low levels of weakness/vulnerability. This battle is meant to force you to have large amounts of vanilla damage and/or rewards having AOE damage and/or heavy poison significantly more than the other two fights. There are no "break" turns where the boss is guarding or only dealing 20 damage, and the boss you want to kill 2nd is also putting dazes into your deck, so you can't always just sit on your laurels and tank up like you can easily do with the other two bosses. A huge part of TE's power is locked up in countering a deck type. I don't agree with this either. The boss has an attack that does weakness/vulnerability (forget which right now) and draw reduction, a guard that does vulnerability/weakness (whatever the other one is), strength scaling off of the time warp effect and a multi-attack, and a mid battle healing purge. If he decides to skip guarding altogether and puts vulnerability on you early the battle usually only lasts 3-5 turns without massive amounts of block. And on the other end of the spectrum if he guards and puts weakness on you a lot the battle can easily drag out to the point where the strength scaling gets really out of control. The reason I made the post complaining about this boss is that he has the ability to be faster than Donu and Deca or tankier than the Awakened One, depending on what he decides to do, on top of the already annoying Time Warp effect. And it's easily the least predictable of any of the boss fights b/c (I do agree with this part) the fight has such a massive spread on how it's going to go depending on RNG. This is the only one of the three fights that makes me worry about taking Runic Dome at the end of act 2. My last 3 runs in a row have all been ascension wins. 7-9 are done on the Defect. For better or worse there's some serious time lag between those runs. I'm basically trying to play too many games at once, and Slay the Spire has become the "play it when something else's battery needs to charge and the system needs to cool down" game. It's still fun to play, but I've only played these 3 runs over the past week. I've probably watched more STS on youtube in the last week tbh. It serves me right that I got forced to take Empty Cage literally a minute after insulting it on here. So.... Anyone want to talk about Endless mode? I could just post an Ascension 10 win no one cares about, but I would rather know what people think of the new mode (and the changes vs the old version). So.... Anyone want to talk about Endless mode? I'll probably never play that mode, there's no win condition so I'd find no gratification. The idea of this new class is original and interesting. In general, I'm amazed by any well-fleshed character made by modders because I recognize it's not easy: you need to invent a main mechanic that makes your character unique, a bunch of secondary synergies that you can choose to build your deck around, a total of 75 cards, and some new relics. I tried to think about a new character myself, but I couldn't come up with a full idea. I'd like to see a gunslinger class (because that's what I thought the blue one would have been before its release), and maybe have a "hand size matters" main mechanic where your cards in hand are your bullets... maybe the starting relic could be "Your maximum hand size is doubled" (although that could bring interface problems)... my random ideas didn't go further than here. Has any of you thought about a character you'd like to see implemented? I'd like to see the merchant become a class. The idea just tickles me. Mechanics could include having exactly enough block to prevent damage or enough attack to kill. Something about how much $ you have effecting your cards. The trio of thieves could be neat. Three different health bars. They all have low hp, but you won't die unless they're all dead. Maybe you get buffs/debuffs based on the number remaining? The win condition IMO is surviving to the point where prides **** you over. I must say, I like the new Frozen Core relic: it gives the Defect a new win condition... well, you could make frost builds before, but it's easier now. It reads: "Replaces Cracked Core. If you end your turn with empty Orb slots, Channel 1 Frost." Note that it triggers before orbs trigger, so the new orb will immediately give you the block. I downloaded it two days ago and made a frost build for today's challenge(-1 hp each room,50 random cards, relic instead of cards as prize, by the third boss I was finishing my first turn with 40-50 shield up, and reached 700 in a perfect run vs. the timeeater boss. Was amusing. Also they should have a negative modifier where your starting relic is replaced by the one that give you one extra action and 2 less cards to choos from when you meet an enemy, receiving that thing from the whale at the start is a pain. I would never take it. Got the Fade achievement. Good to get that one out of the way. I just ended a very satisfying run with the Silent at Ascension 10. I usually don't value Nightmare very highly since you need to invest a lot of energy into it for no immediate benefit, but this time I got it from Astrolabe (so it was already upgraded) and had a very clear idea on how to use it. I have been able to find only 1 Blur throughout the run (also because I traded my starter relic for a Busted Crown...), but I tried to get as many drawing effects as I could, and against elites and bosses after the 1st one, I only used Nightmare on Blur, practically becoming an Ironclad with Barricade. The fight against the Champion lasted 26 turns and I took no damage, while he died almost exclusively from Noxious Fumes. The last battle was against the Awakened One and I used 3 Dexterity potions plus an upgraded Footwork: the battle lasted 20 turns and I had ~400 block at the end, with ~10 stacks of Blur. Got a couple of achievements while randomly playing defect a0 runs. Had an unceasing top deck with mostly 0 cost cards, ran into the transient and cycled him to death before he faded away. A couple runs later I traded my starting relic for a boss relic which was runic pyramid, and got a meteor strike from the first boss, so I went for Neon, which I got using an echo form and a hologram. That run actually lost in the end due to getting Pain off a cursed key right near the end which stays in your hand when you have the pyramid.